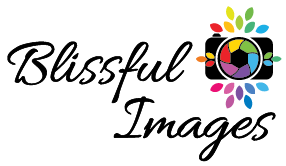 ​Blissful Images is a Professional Family Portrait Artist in East Peoria, Illinois. Blissful Images believes memories should last a lifetime and be displayed proudly in your home in ways that you can touch, feel and hold. Through the experience of preserving your family legacy, we help take away your stress through helping you plan clothing and location as well as show you the ideal way to display your portraits in Wall Art, Albums, Wall Groupings and Story Boxes. Customizing your family session to be filled with energy and love is our goal. Blissful Images loves to use our unique gifts to help others and we are known in Central Illinois for our philanthropic efforts. Jenni was friendly and warm, creating a fun and relaxed atmosphere which allowed my enjoy the experience of the photo shoot. Jenni made you feel very comfortable. You forgot you were posing for pictures. Fun, great time. Can’t wait to see our pictures. Jenni was very happy, very fun and moved very quickly as to keep my kids from getting restless. I didn't feel stressed because I knew Jenni would handle it. No matter what "it" was. And she did. Who else could make a family of nine and a woman with both her husband and ex-husband in the same portrait session at ease? Jenni, that's who. Jenni makes the sessions fun! 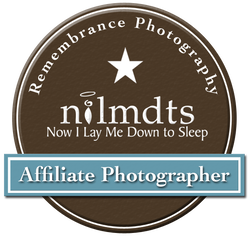 You always make it so relaxing-you have a personality that fits the photography business! Blissful Images was so much fun to work with! We had a large family portrait to take! We can't wait to see the results!!!! Thank you Blissful Images for capturing our family on my father's 80th Birthday!!! Jenni did an awesome job making the session fun! Because we had chatted prior to the session and you knew what we were going for, I wasn't worried at all. Your expertise and organization moved us through the session quickly and efficiently, even though we were a larger group. Your bubbly personality made everyone feel comfortable and we could tell you truly cared about capturing the best images. Others in the family have commented about how well everything went. We're all excited to see how the photos turn out. You're the best and we are so lucky to know you! ​The energy throughout the photoshoot was amazing. Amazing with Rhyder. Amazing with us. It just went good!! ENTER YOUR INFO SO WE CAN KEEP IN TOUCH !